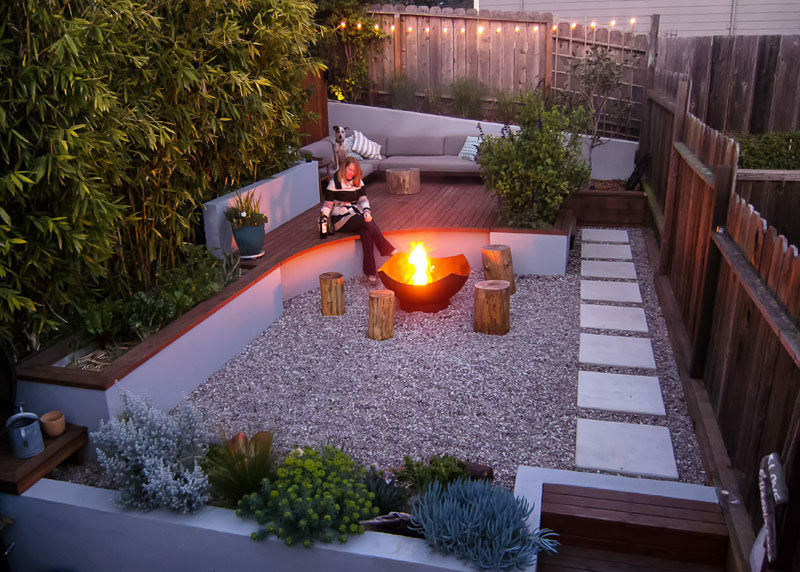 SEED Studio, a landscape design company in California, has created a multi-tiered backyard oasis for a house in San Francisco. 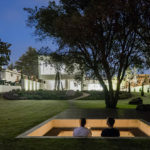 The couple that live in the house wanted to have a garden that could entertain large gatherings, but at the same time feel intimate for when it is just the two of them. 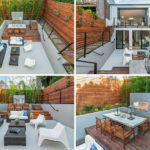 The backyard has been split by height and by materials to allow for different areas to be defined. 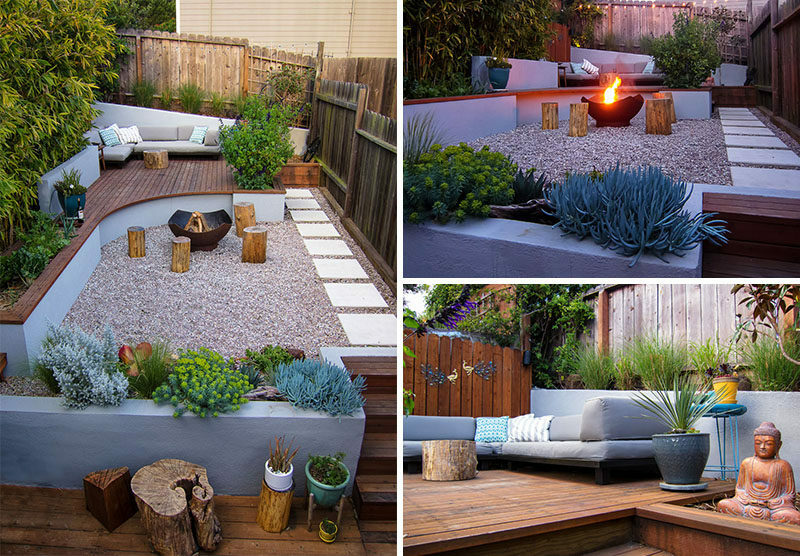 Gravel has been used for the firepit level, while wood has been used for the upper level. A path made from pavers connect the different spaces. 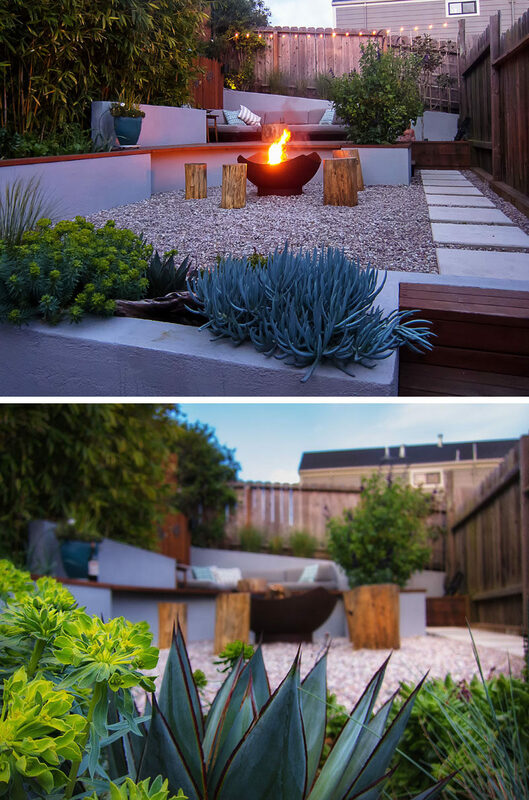 The main focal point of the backyard is a Corten steel wood burning firepit that’s surrounded by wood stools and the curved part of the deck. This curved section also becomes additional seating. 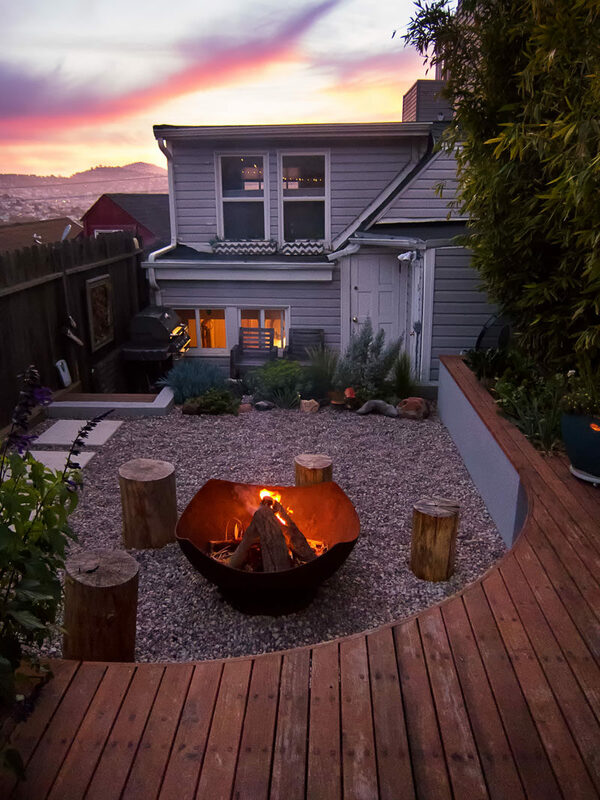 A small set of wood stairs leads up to the deck, the highest point in the backyard. 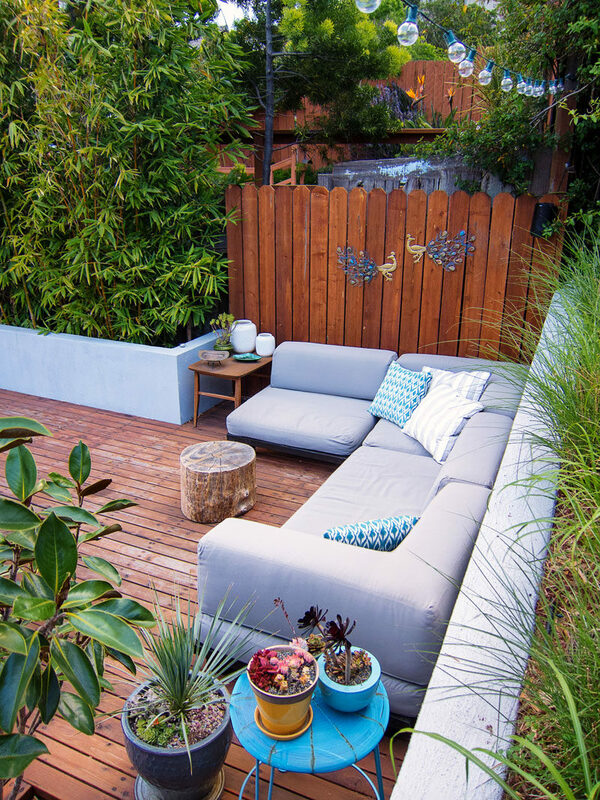 The outdoor living room, furnished with a soft blue couch, is the perfect spot for relaxing and conversation. 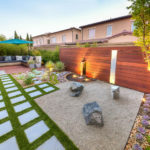 The plants that surround the outdoor space includes succulents that are compatible with the rocky soil, bamboo has been used for privacy, and a vegetable garden for homemade meals.